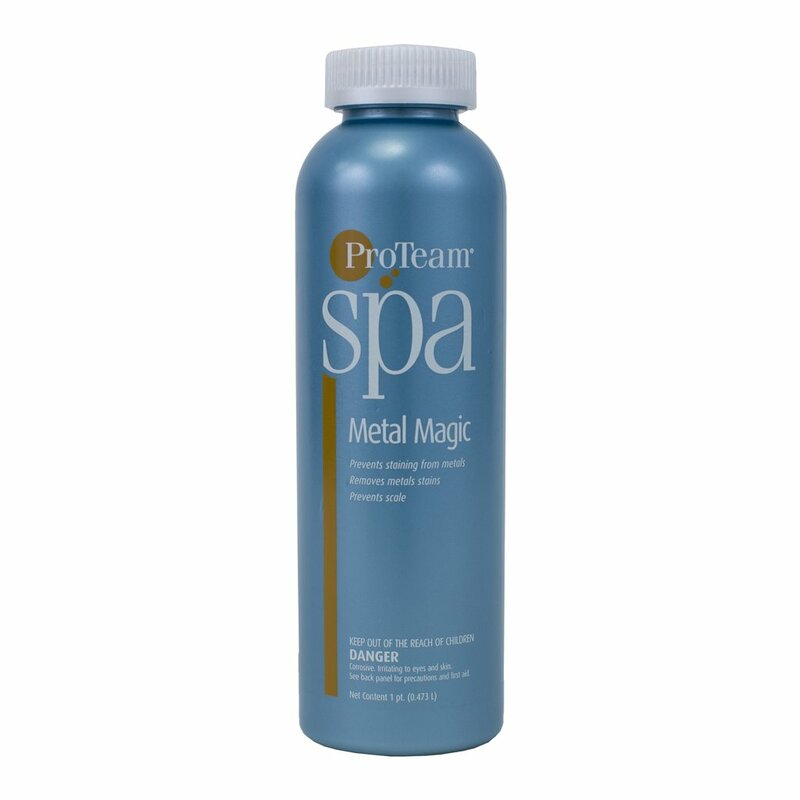 ProTeam Spa Metal Magic gives spa and hot tub owners an easy and effective way to prevent metal staining and scale built up from forming, while removing any existing stains from your pump and heater. Its powerful liquid formula can be added directly to your pool to quickly remove iron, copper, manganese, silver, and other metals from your spa water that cause stains. Scale buildup is also prevented to ensure your pump and heater are working at peak efficiency, keeping your spa or hot tub clean and healthy. Best of all, you can continue to use your spa during treatment. Metal Magic is made in the USA to ensure quality, allowing you to buy with confidence.